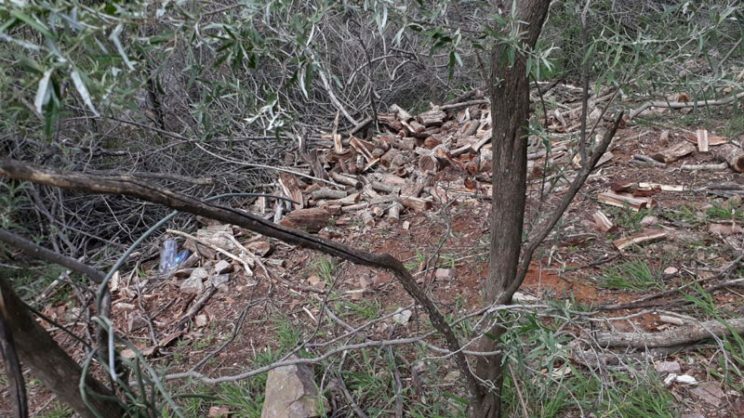 Community members in Hartebeespoort are urged to help support conservation efforts to stop illegal logging and tree poisoning in the area. Illegal loggers have caused devastating harm to a protected area already, and despite urgent appeals to the authorities to stop the illegal activities, nothing has been done, reports Kormorant. To make matters worse, loggers have now started poisoning large areas of trees against the mountain to make their jobs easier. The dead patches are clearly visible. The poisoned wood is a serious health threat for those who use it as firewood, as well as a potential ecological threat. The Hartbeespoort community’s assistance is now requested to help stop the devastation. Atkinson and neighbouring property owners have been attempting to scare away the trespassers, but they only return and have been getting aggressive towards property owners. Residents are requested to contribute to help save this beautiful area. For more information and contributions, contact William on 076 856 3083 or Daleen at Kormorant on 012 259 0948.